 Ligature is a weekend-long design symposium run entirely by University of Florida graphic design students. The weekend features talks and workshops with highly recognized guest designers. The exhibition and accompanying events are intended to motivate, inspire, and create greater design awareness throughout our community. Partially funded by Student Government, this event has become a gathering for alumni, designers from the community, and world-renowned artists who visit to share their insight in a rapidly changing industry. Born and raised in Mexico City, Bryony Gomez-Palacio is a graphic designer and writer now living in Bloomington, IN. She is co-founder of UnderConsideration—a graphic design firm and publishing enterprise all rolled into one—where she manages the behind-the-scenes of the online network comprised of Brand New, FPO, Quipsologies and The Art of the Menu. Bryony has co-authored five books with her husband and partner, Armin Vit. Most recently, they conceived and presented the Brand New Conference, the Brand New Awards, the FPO Awards, and the recently launched lecture series by The Austin Initiative for Graphic Awesomeness. Formerly as one of a dozen creative directors overseeing brand for Nike North America, Jason Murphy has conceived and executed multi-million dollar campaigns that continue the company’s dominance in athletic apparel and footwear. His creative thinking and narrative concepts are at the heart of print and digital campaigns with Nike Athletic Training, Nike Basketball, NFL Football and NCAA College Sports. Murphy is most proud of his efforts to engage youth in team sports and return Nike to its role as exclusive apparel manufacturer with the NFL in 2012, generating $56 million in annual revenue. When he’s not collaborating with art directors and photographers to capture imagery for print and broadcast campaigns, Murphy is at the helm of immersive experiences that engage consumers and activate social media—from Nike’s NBA All-Star Weekend in New York to a partnership with comedian Kevin Hart, which launched spontaneous 5K runs all over the country.